Book Online at GUARANTEED Best Rates! When you make a holiday rental booking using Wotusee.com the following terms and conditions apply. You must be 18 years and over to book holiday rental displayed on Wotusee.com. 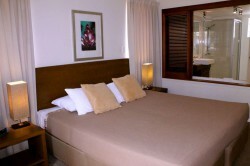 1.1) Wotusee.com is a referral forum for short term holiday lets of less than 90 days. Wotusee.com also provides information for a number of holiday -related suppliers and provides the opportunity to purchase goods or services provided by those suppliers. 1.2) We are not an agent for property owners or managers that advertise properties on Wotusee.com, nor are we an agent for any third party suppliers of other goods or services that are advertised on Wotusee.com (each of which is referred to in these conditions as a 'Supplier'). Wotusee.com takes 25% of the total accommodation due to secure your booking and the balance is taken by Wotusee.com 2 1 days before arrival. 1.3) Information provided on the site about goods and services offered by a supplier is provided by that supplier. We do not monitor, verify or endorse information submitted by suppliers for posting on the site and you should be aware that such information may be inaccurate, incomplete or out-of-date. Facilities, activities or other services that form part of your booking may be subject to change. 1.4) We do not make any representation as to the safety, quality, condition or description of any goods or services provided by suppliers that are advertised on the Site. Any issues regarding safety, quality, condition or description should be dealt with directly with the supplier with whom you have made the booking. Wotusee is unable to provide refunds in these instances. 1.5) Suppliers may have their own terms and conditions in relation to their goods and services. You acquire goods and services from suppliers subject to those terms and conditions, so you should check that you agree to the terms and conditions before you confirm you're booking. 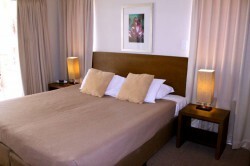 1.6) All bookings are subject to supplier availability. 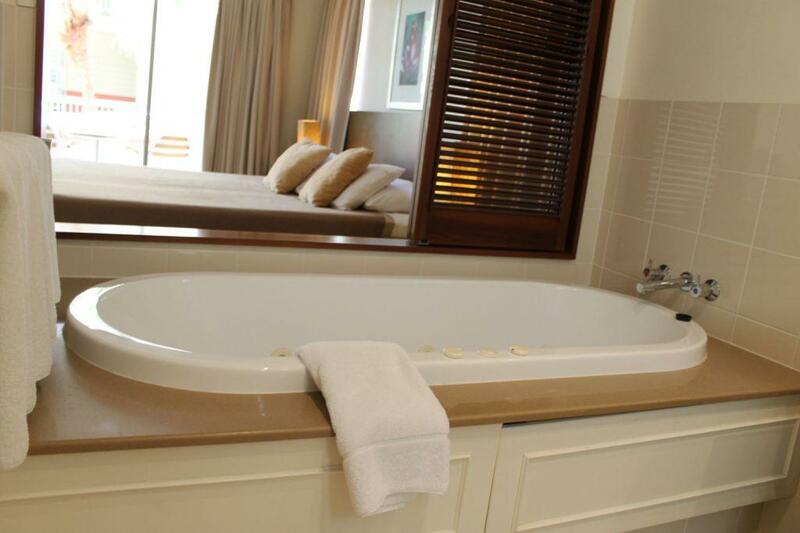 25% deposit: You agree to pay a non-refundable deposit for the holiday rental at the time of booking. The deposit amount debited will (subject to the following) be the amount shown on our booking page prior to you clicking the "Book Now" button on that page. Depe nding upon the currency of the booking, your credit card's currency and the country in which your card was issued, your credit card provider may impose foreign exchange fees and other fees which are in accordance with your arrangements with that credit car d provider. Remaining balance: You are required to pay the remaining balance 21 days before arrival. If you do not pay the remaining balance by the due date, Wotusee.com may cancel the booking in line with the Property's Terms & Conditions and Payment Details. You will forfeit the deposit paid at the time of booking, and will also be required to pay any applicable monies in accordance with the Property's cancellation policy. The return of any monies paid for bond or security deposit by the rental accommoda tion provider is subject to the Property's Terms & Conditions. Bond or security deposit: You may also be required to pay a bond or security deposit prior to arriving at the Property, and this will be detailed in the Property's Terms & Conditions and Bond Details. If you do not pay the bond or security deposit by the due date, the holiday rental provider may cancel the booking in line with the Property's Terms & Conditions and Payment Details. You will forfeit the deposit paid at the time of booking, and will also be required to pay any applicable monies in accordance with the Property's cancellation policy. 1.7) The Guest gives Wotusee.com and/or the Agent (with the consent of Wotusee) authority to debit their nominated credit card for any monies owing for his/her booking, in accordance with these Terms and Conditions. 1.8) Wotusee.com strongly recommends that guests take out travel insurance to cover their obligations under these Terms & Conditions. 1.9) A booking is not confirmed unless Wotusee.com has sent written confirmation. 1.10) Any payments that were taken from a credit card, and which need to be refunded, will incur a 5% refund charge. 1.11) The Customer agrees that the accommodation is booked only for the number of people actually stated on the Confirmation. 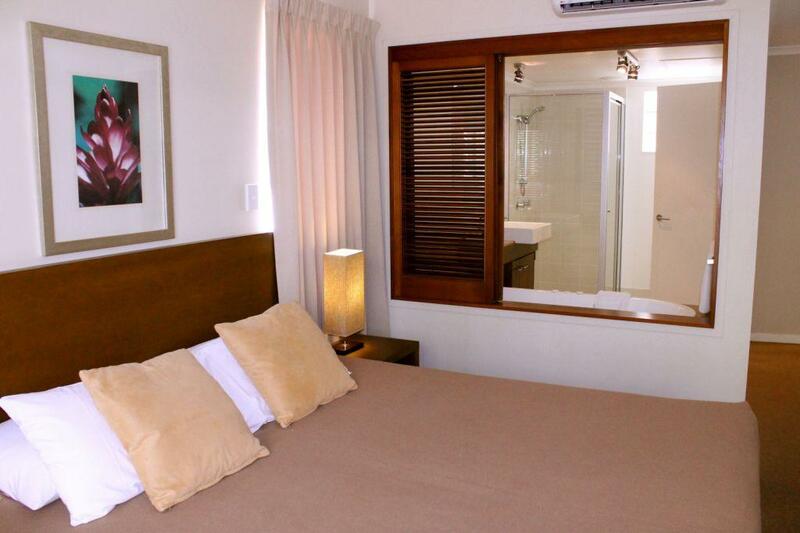 Any additional people will be charged for at the applicable client's nightly rate. The Customer gives Wotusee.com and/or the Client the authority to charge the customer's nominated credit card for any such additional people. 1.12) The majori ty of properties are strata titled. This means that each property/house/room type within the complex is owned by a different person. If for any reason the property/house/room type becomes unavailable even though the customer has a confirmed booking Wotusee .com may need to relocate to a different property/house/room type. Wotusee will not be held liable for any change, additional charges may be required for a relocation. 1.13) Any accommodation booked with Wotusee is for accommodation purposes only and expre ssly prohibits the use of this accommodation for anything other than this purpose. Wotusee expressly prohibits the use of it's accommodation for functions, gatherings or parties or any other purpose which would interfere with the comfort of other guests and facilities. 2.1) Bookings at certain Properties, time periods, or for certain deal types cannot be cancelled or changed. 2.2) Some holiday rental providers may permit cancellations or changes, this may involve a charge. 2.3) If you cancel a booking the deposit paid is non-refundable, and you may also need to pay additional cancellation fees to the holiday rental provider. This information will be displayed in the Property's Terms & Conditions. If you fail to cancel a booking and do not check-in to your accommodation you will forfeit the deposit paid at the time of booking. A refund of any monies paid directly to the holiday rental provider will be determined by the cancellation policy outlined in the Property's Terms & Conditions. The person registering at check-in must be 18 years of age or over. The holiday rental provider may ask you to provide photo ID at, or prior to check-in to ensure that your identity matches the booking identity. A copy of this photo ID may be retained by the holiday rental provider to minimise the risk of fraudulent credit card usage and for verification purposes with your credit card provider in the event of a dispute. This identification information may be supplied to Wotusee.com by the holiday rental provider in the event o f a credit card dispute. Wotusee.com makes every effort to ensure all holiday rental information displayed on our site is accurate; however, as considerable information is accessed from our holiday rental partners and posted by our customers, we are unable to guarantee the accuracy of all information nor are we able to guarantee that the Site is free of errors or faults. Wotusee.com reserves the right to change holiday rental information displayed on the site (including these terms and conditions) at any time without notice to you. a) Wotusee.com will not be liable for any losses, damages, liability, claims or expenses (howsoever caused, including negligence, and whether direct, indirect or consequential) arising from the use of or connected with our site or any products or services purchased on our site. (ii) otherwise, to the value of the booking made. We sell holiday rental accommodation from inventory supplied by each holiday rental provider and we do not over-sell that inventory. We cannot accept additional liability for unavailability caused by a holiday rental provider over-selling its own inventory. Contain noise at a reasonable level and, in particular, between 10pm and 8am. Comply with parking regulations and show consideration to neighbours and other vehicles. Dispose of garbage and recycling in accordance with the usual practice at the property and in the allocated bins. Guests must not leave excess rubbish in common or pu blic areas. Notify the owner or agent of any complaints as soon as possible. Minimise their impact upon the residential amenity of the neighbours and local community. Be responsible for any visitors. Observe and abide by any Body Corporate Rules/ property house rules and respect the residential amenities of the property and neighbours. Maintain the security of the Premises. Guests will be held responsible for any incident that occurs during their stay or upon departure as a result of the premises being left unsecured Abide by any noise abatement order issued by police or any regulatory authority. Refrain from engaging in any drunken, obscene or antisocial behaviour. Report any concerns regarding the condition of the property to our office within 18 hours after arrival. While Wotusee makes every effort to ensure that this information is current and kept up to date, this information may change without notice. The description of the Premises is made in good faith and we will accept no responsibility for mis-description. All photos on th is Website were taken on site and are provided as a guide only. 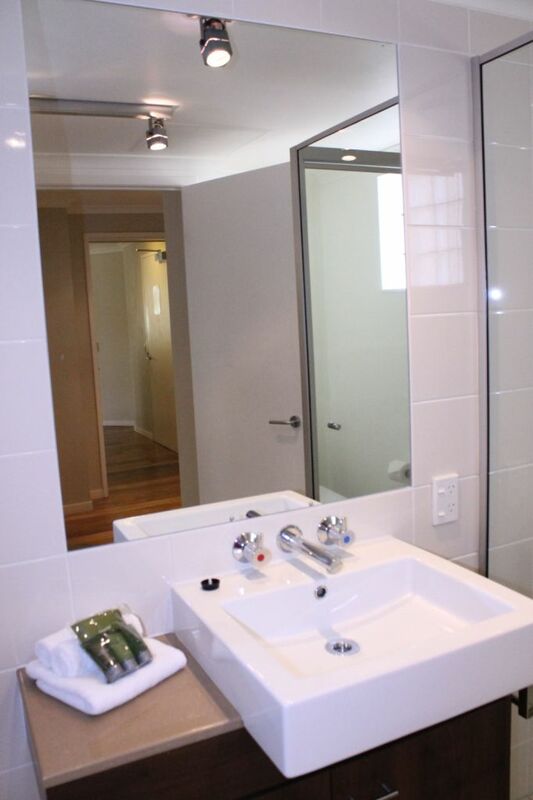 Photographs on the Website are an accurate representation of the described property at the time the photograph was taken and are subject to change with fair wear and tear. Neither Wotusee.com nor the owner of the Premises accepts responsibility for personal perceptions. Nor do we take any responsibility for any errors or omissions contained on the Website. If any feature or facility is essential for the guest in choosing a particular property, it is advisable that the Guest checks with the reservation staff at time of booking. Wotusee.com cannot be held liable for omissions or errors, whether temporary or permanent, in regards a property's facilities and services. 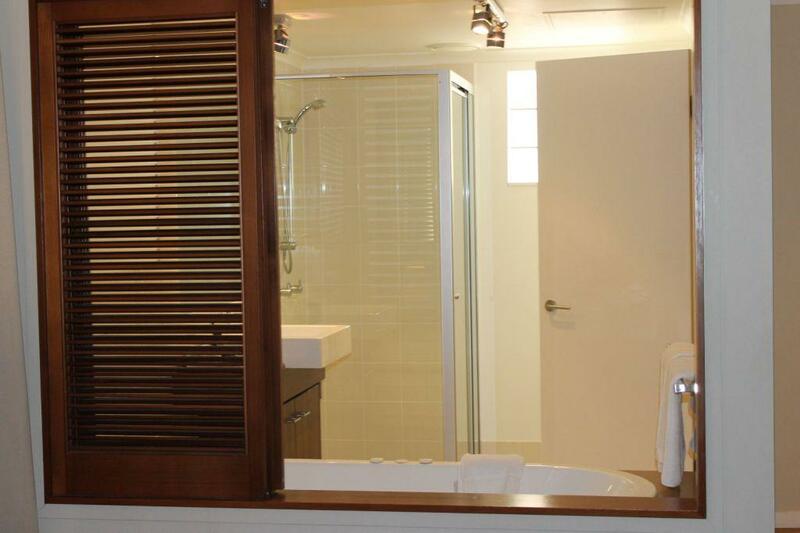 All properties under management are privately owned and are rented on a fully self-contained basis. In the event of faults and/or malfunctions of appliances, there is no obligation from the owner or Agent to compensate or discount. Wotusee.com will accept no responsibility for any inconvenience with machinery breakdown. In such circumstances, the Agent will endeavour to repair, replace or hire an alternative. All properties are non smoking. The Guest responsible for the booking enters all the required details via the online booking form and then submits the booking request. A computer generated email is automatically sent to the Guest advising that an on line request has been received and is waiting processing. The booking staff will check the booking request for completeness and accuracy, make the required changes (if any) and send a notification from the reservation software system by email that all is in order with the booking and provide a dissection of the Total Booking Fee and advise that the deposit payment will be processed within twenty four (24) hours. Upon successful processing of the deposit payment an email confirmation will be sent to the Guest confirming the booking. Only at this point does a contract exist between the property owner as the accommodation provider and the Guest. If you cancel your booking for any reason, you must notify us in writing, and the following cancellation fees apply. If cancelled 21 days before arr ival, 100% of the total booking fee will be forfeited by you. If cancelled more than 21 days before arrival, 10% of the total booking fee will be forfeited by you. Plus any additional charges as per the suppliers terms and conditions. 11) Parking Guests must park their cars only in the designated parking areas and clear of driveways. You will be informed of the designated parking areas upon your request by us or at the time of check in and is subject to change. Do not park on grass areas. We cannot be held responsible for any fines imposed for non-observance of these rules. Some laws do not permit any boat, trailer, caravan, campervan or mobile home anywhere on the common property. You must not park any vehicle in areas set aside for visitor parking and visitors may only park in visitor parking. If on arrival you notice any existing damage or breakages within the Premises you must report your concerns re the condition of the property to our office within eighteen (18) hours after arrival. You will be held responsible for any damage, breakages, theft or loss of any property on or in the Premises during your stay (including keys). If any property is damaged, you will be responsible for all related costs for the repair or replacement of the affected property. You authorise us to deduct these costs from your bond (if any), monies paid (or owed) by you and if further required, charge your nominated credit card accordingly. Neither Wotusee.com nor the owner of the Premises takes any responsibility for the loss or theft of your personal property or for any bodily injury that occurs on or at the Premises. We recommend all guests purchase travel insurance since Management are not responsible for any injuries, illness or accidents that may occur whilst staying at our property. We cannot be held responsible should a property be listed for sale, sold or the Agent's appointment to act is terminated and your booking is cancelled. If you are staying in an Apartment, you and your guests must comply with the by-laws, house rules and any reasonable directions provided by members of the body corporate's committee or building manager. 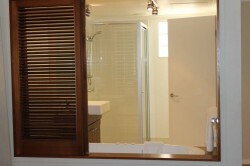 The properties listed on Wotusse.com are independently owned and managed. They are neither managed by, nor associated with, the on -site resort manager ('Building Manager'). The Building Manager has no responsibility for the Premises, and is not responsible for your booking or stay. This includes issues relating to check-in, check-out, cleaning, maintenance and parking. For any such issues, please contact the owner/agent of the property. General : These terms and conditions are governed by the laws of Queensland, Australia. We receive payments from our holiday rental providers for the provision of our booking service. All references to "we", " our" and "us" are references to Wotusee.com. Want to have a closer look? Click on an image to enlarge. 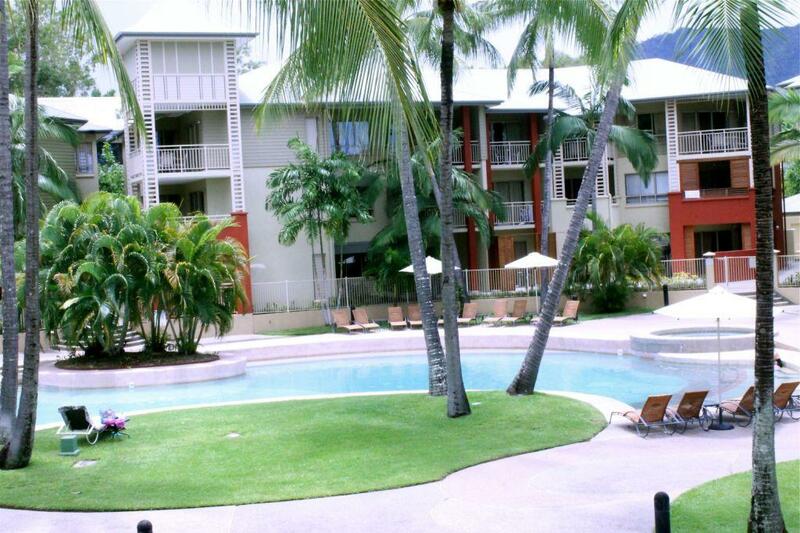 Situated in the heart of Palm Cove, just a short pleasant stroll to many restaurants and Village Shopping, Amphora Resort epitomises the leisurely, carefree lifestyle of this popular resort destination in Tropical North Queensland. This spectacular accommodation offers spacious, beautifully appointed studio rooms and apartments, and an inviting award winning lagoon pool just metres from the beach. 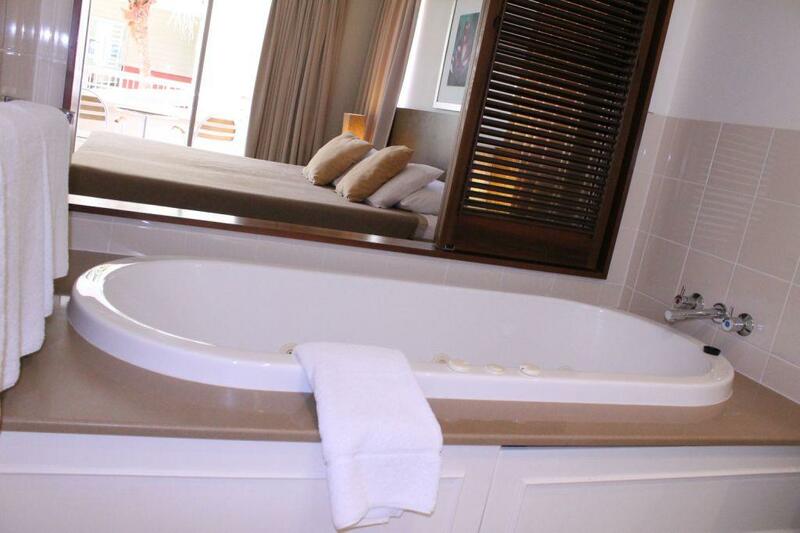 Facilities: Waterfront location, award winning swimming lagoon and spa, day spa (onsite), landscaped gardens, babysitting available, Vivo Bar and Grill Restaurant. 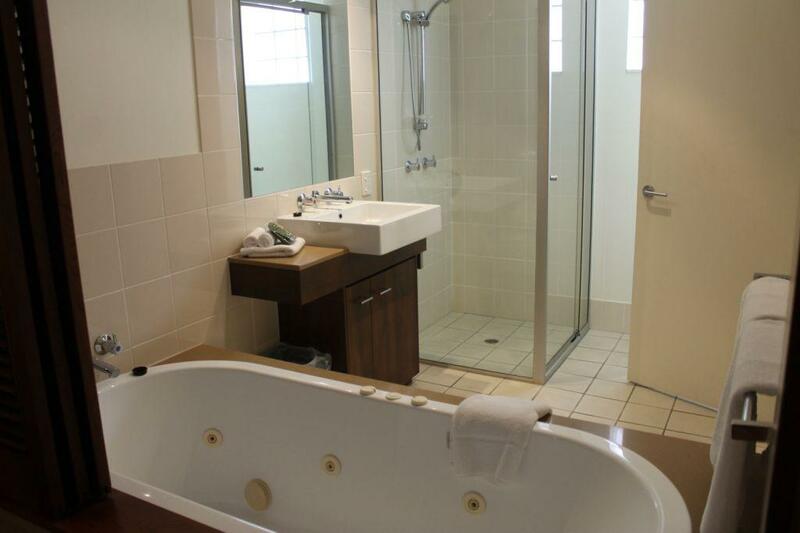 The Studio Rooms are the ultimate romantic getaway especially designed with the signature spa bath big enough for two, just perfect for sitting back with a glass of bubbly leaving all your worries behind. 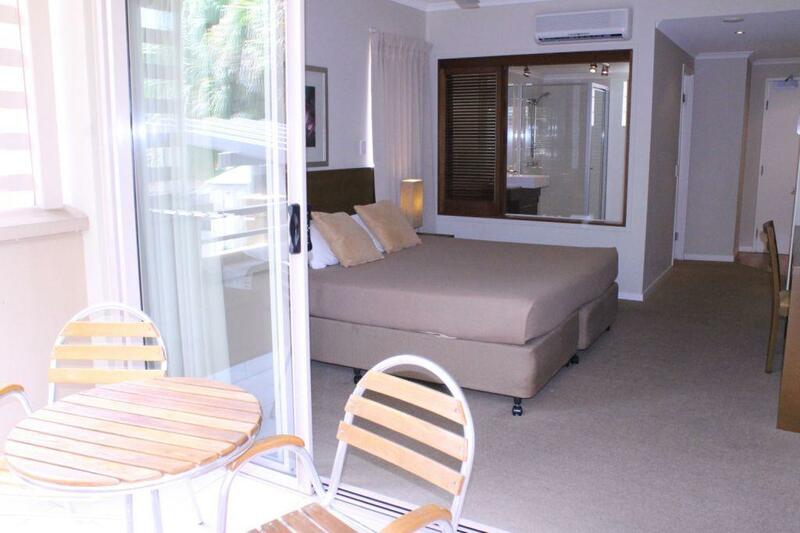 Rooms have a view onto the resort grounds and every room has its very own private balcony. It features a king size bed and tea and coffee making facilities only. See what others have said about Amphora Resort! Thank you very much. We had a wonderful time. Definitely a 5. Accommodation was great. 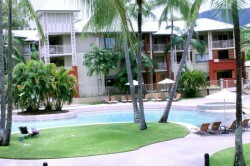 Once again we had an amazing stay at Amphora Palm Cove, this time in 2 apartments AM835 & AM734, we absolutely love staying there and have already booked again for 2019. The service from all your team members was excellent. We had a fantastic time again in the Amphora. The facilities are fantastic. The room was clean and just perfect. I also liked that there was an umbrella for use as we needed it. But more importantly, thank you to the staff who were helpful when the fridge was not cooling things down. You had someone immediately come in to check it out and when out plans didn't work you had a tradie in same day to fix the fridge as soon as possible. Thank you to Leanne, who offered us great advice on the WiFi and local treats and was the voice of calm when we were told Cyclone Debbie was coming. Her daily calls with updates and reassurance were very much appreciated. Hi, our overall experience was a 5. The apartment was very clean, sheets and towels of good standard, plates and cutlery were all well maintained. Location of the apartment was also very good, palm trees in front of the unit gave just enough privacy without blocking the views. We stayed 10 nights and were very happy with everything. We always stay at the Amphora and have used the Boutique Collection in the past for our bookings and have never had any problems. Definitely a 5! We had a wonderful time in the apartment. The Mantra Amphora is so convenient and the kids loved the pool! Having the 2 bedroom apartment was really great for a family holiday. Thank you again for your hospitality. Accommodation was in the perfect location with a lovely water outlook. Pool was great for all. Rating a 5. Thanks for organising the great weather.